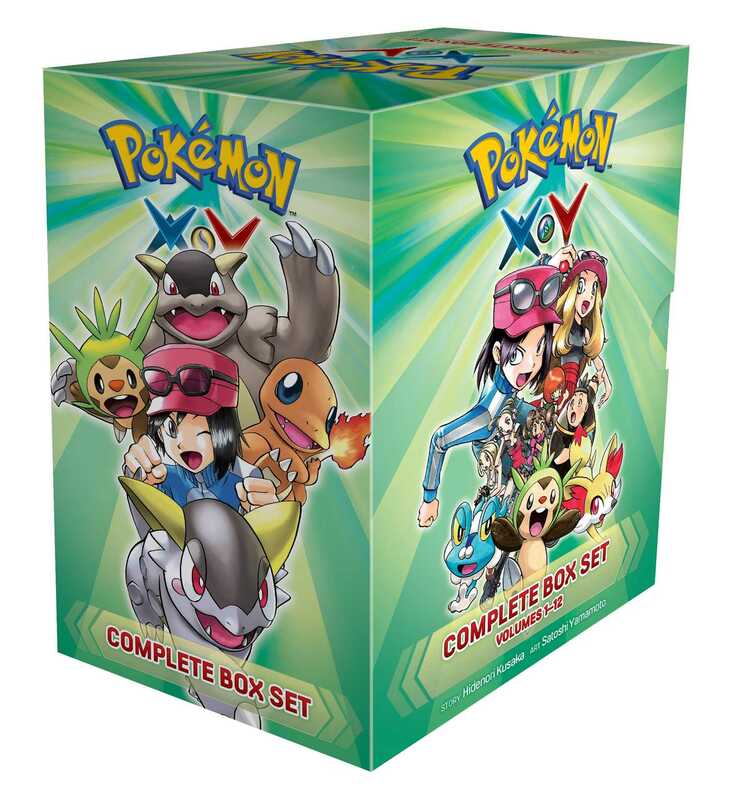 Contains all twelve volumes of the Pokémon X•Y manga series and a collectible full-color poster! Collects all 12 volumes of the Pokémon X•Y manga series, featuring awesome adventures inspired by the best-selling Pokémon X and Y video games! * The Pokémon Adventures Special Edition X•Y series has sold over 45,000 units over 9 volumes in the U.S. (BookScan 4/17). * The Pokémon Adventures manga series has sold over 533,900 units over 29 volumes in the US. (Bookscan 4/17). * Pokémon Sun and Pokémon Moon, the latest iteration of the Pokémon video game series, launched in October 2016. * The Pokémon animation series airs on Cartoon Network and is available on home video through VIZ Media.